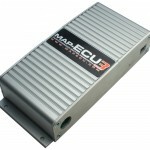 MAPECU Colorado Tuner – FIGS Engineering is a new MAPECU tuner! Figs specialises in performance modifications for Lexus and Toyota vehicles. That makes FIGS Engineering a perfect fit for MAPECU!